If your wheels are looking Scuffed or tired looking, this can totally spoil the appearance of your car. Likewise, if they’re clean and sparkling wheels, they will enhance your cars appearance and value hugely. Kerbing and corrosion are the two main factors for scruffy wheels. 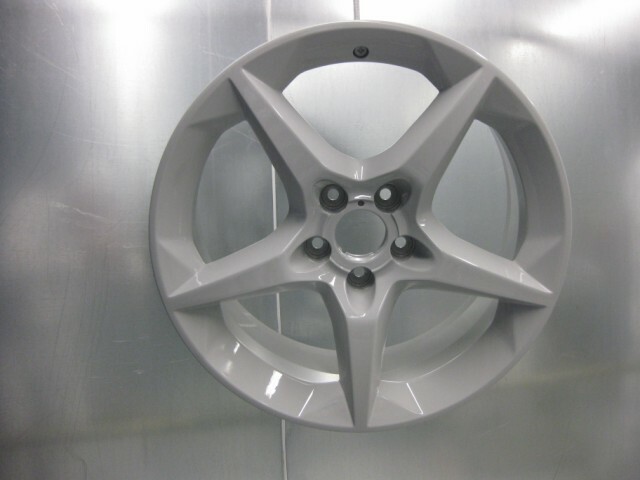 At Madhouse Alloy Wheels & Powder Coating, we can transform them back to their former glory. 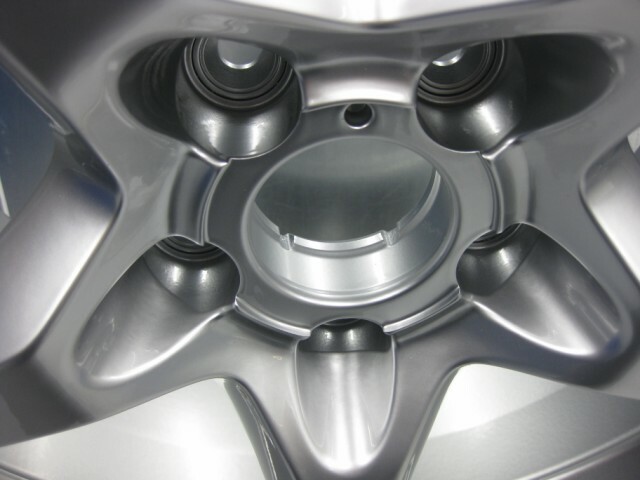 Advances in alloy wheel refurbishment technologies make it possible for bolted wheels and split rim wheels to undergo previously restricted repair services. Because of this, more car owners have employed routine refurbishment services to improve the condition and value of their alloy wheels. Some wheels are prone to rotting and corrosion and there are a number of ways to treat this. 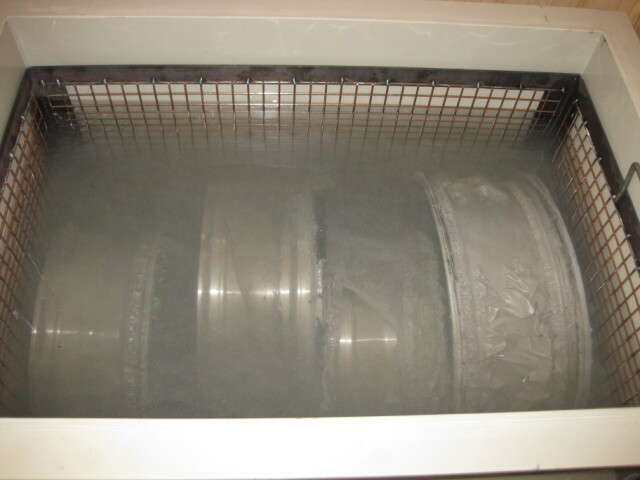 Some companies ‘shot blast’ or ‘sand blast’ wheels to remove all the paint and corrosion. We find this is a harsh process and can leave pitting; therefore we now use the latest techniques which involve us removing all the paint and corrosion in an acid bath. This is carried out at our depot. Due to the strength of the acid used we cannot do it on the mobile service. You can have your wheels painted to the original colour or if you fancy a change we can mix any colour you like. If you have a specific colour you would like you can supply us with a paint code and we will match it. 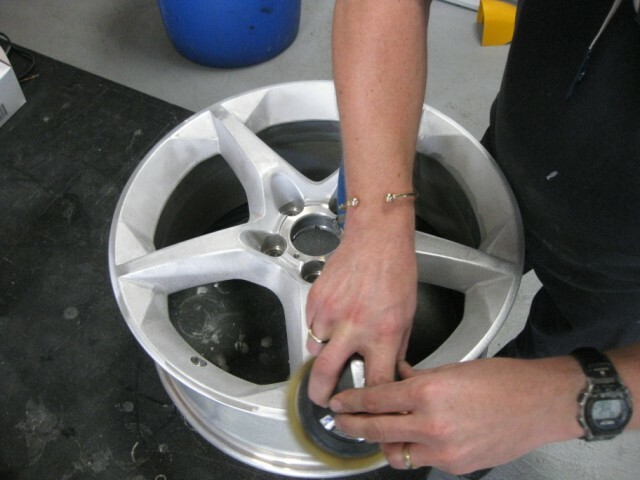 In most cases we would recommend a full refurbishment of your wheels to achieve a 'good as new' look. They will go through a 3 stage powder coating / paint process to give a very durable and high gloss finish. •	Tyres are removed as are any weights and valves. •	Wheels are then hot pressure washed to remove excess dirt & grime. •	Placed into a chemical stripping tank to remove old paint & lacquer coatings. •	Hot pressure wash rinsed. 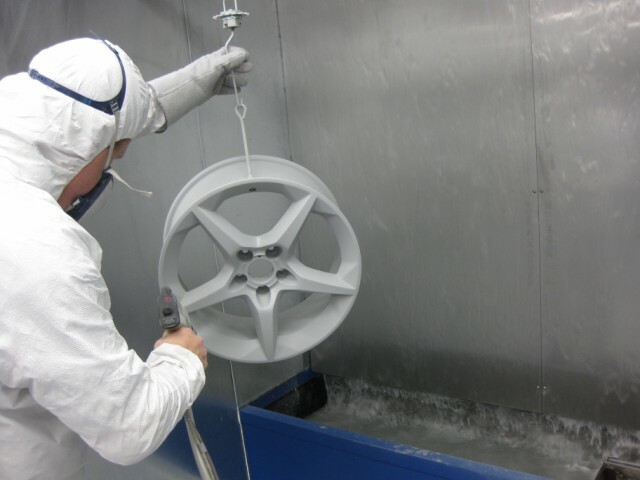 •	Wheels are lightly grit blasted to remove blemishes and corrosion. •	The wheels are then inspected for damage especially the lips of the rims any cracks & deep scratches on the rim edges, faces and spokes will be filled in by alloy tig welding, they will then be machined using various techniques & hand tools. They are then always finished by hand. •	Next the 3 stage powder coating / painting takes place. •	The wheels are pre-heated in an industrial oven to 200 degrees for 20 minutes to de-gas the alloy then a powder coat primer is applied. 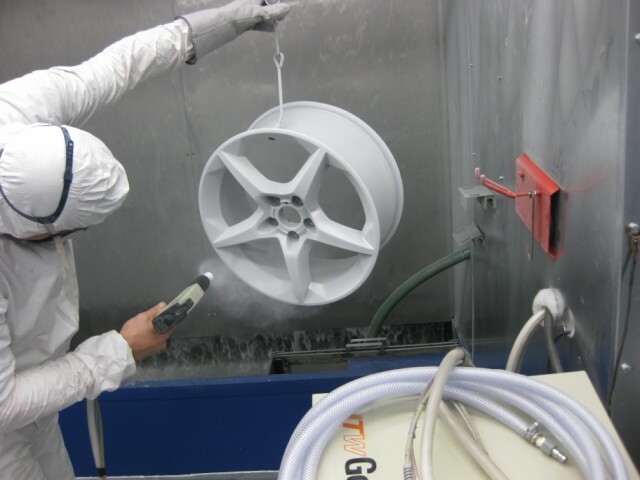 •	Next the wheels are cooled to 60-80 degrees and if they are having a colour coded or bespoke finish they are spray painted and put back into the oven for a further 40 minutes to cure. 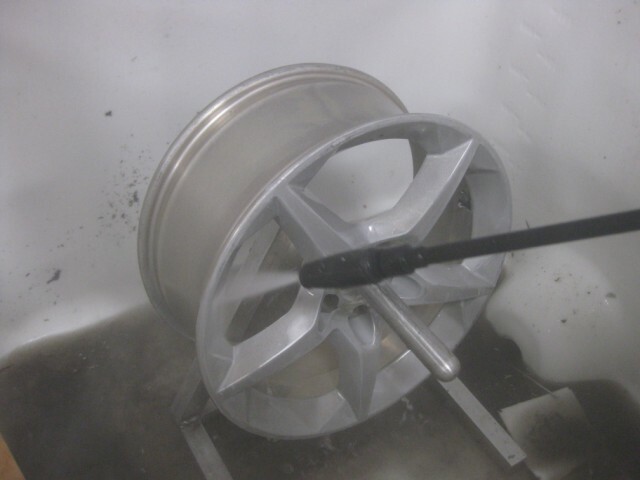 •	The final powder coat clear lacquer is then applied and the wheels are then put back into the oven at 200 degrees for a further 20 minutes. •	Once cooled the wheels are fitted with new valves and the tyres refitted and are electronically balanced. Stick on weights are placed on the inside of the wheels so that it does not spoil the appearance of the finish. 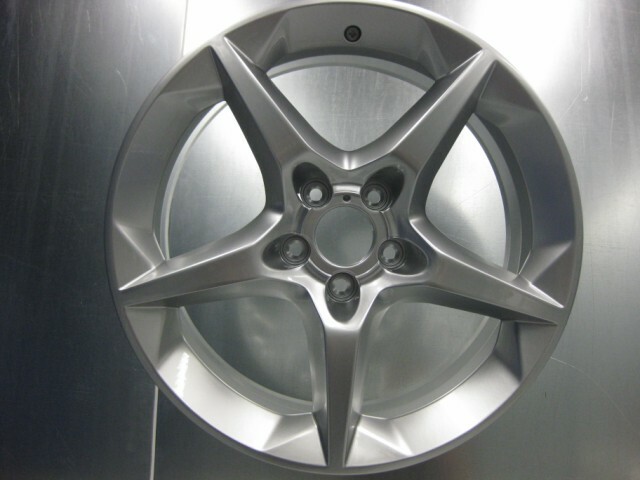 The repair process involved for a Diamond Cut Alloy Wheel /Diamond Polished Alloy Wheel finish is aptly named due to the Diamond tip used to cut the face of the wheel. Our charges vary depending on whether you leave your car with us or if you bring in loose wheels. If you would like to bring your car to us we have loan cars available if required. We will remove the wheels and store your car on an electric ramp in a locked garage whilst the work is being carried out. You may well ask “What is Powder coating”? Powder coating provides protection to a host of Metals i.e alloy, steel and aluminium it’s unsurpassed by most other paint systems. It adheres to Metals by using equipment with an electrostatic field. It is then baked in high temperature industrial ovens, whereupon the powder melts & flows to cover the entire component, this ensures a full and even coverage. Durability and longevity can only be achieved by accurate use of oven temperature’s & timings which are essential in achieving quality workmanship. e.g A high Gloss finished Alloy Wheel will be treated with multiple stove’s at medium temperature, while a Steel Gate will be stoved for longer at a higher temperature. 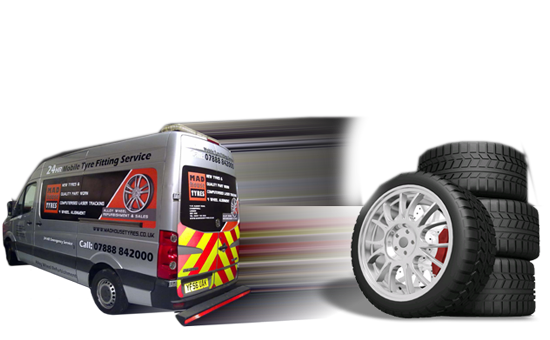 We remove the tyre, valve and any balance weights. The wheel is then put in a chemical tank which strips all the old paint from the wheel. The wheel is now checked for kerb damage and repaired using Hand tools, if required any deep gouge marks are filled with special high temperature alloy filler. Once the wheel has been de gassed the wheel is hot enough to have the powder coat primer applied. This process is done in a clean room with filtered roof panels to help reduce the chance of any unwanted containments being attracted to the wheel. Once the wheel has been primed it is then placed back in the oven for 20 minutes to allow the powder coat to flow out which will give a smooth flat surface to paint on. 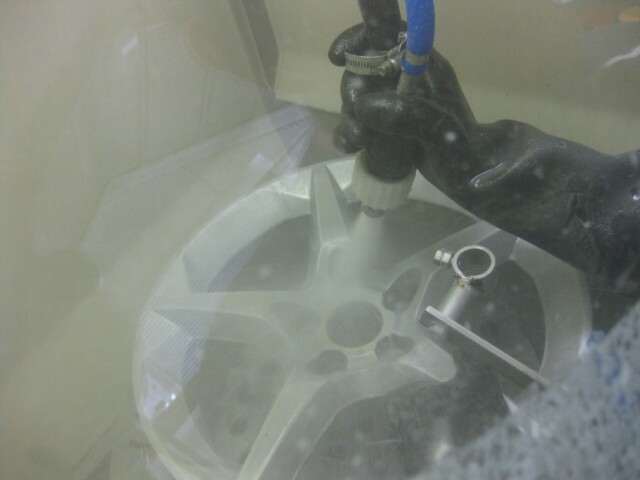 The wheel is now allowed to cool before we apply the powder acrylic lacquer. The wheel is then placed back in the oven for is final curing. Once the wheel has been cured it is then allowed to cool before we refit the tyre and balance the wheel. 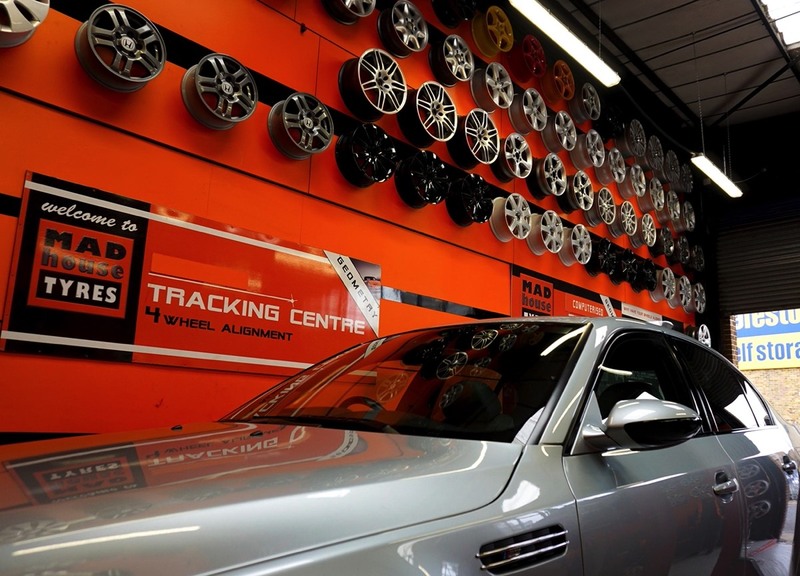 We have over 100 sets of loan wheels for a huge range of vehicles to take the stress and aggravation out of having your alloy wheels refurbished.